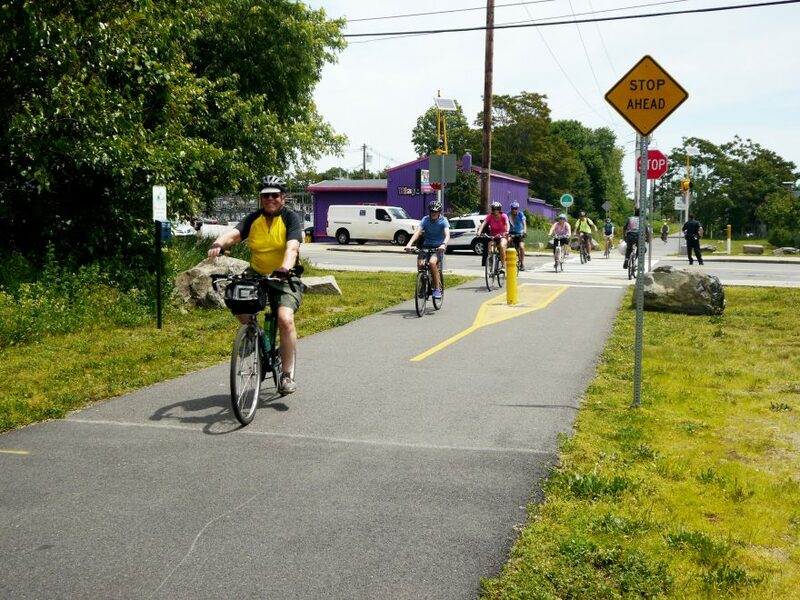 ‘Bike to Work’ Ride Set For May 18 – Bike to the Sea, Inc.
A “Bike to Work Week” ride will be held on Friday, May 18, 2018 along the Northern Strand Trail from Lynn, through Saugus, Revere, Malden and Everett before ending at a rally at Boston City Hall. The ride starts at 6:45 a.m. at the trailhead on the Lynn/Saugus line, 829 Boston St., Lynn, Mass. and will make stops at Central Street in Saugus; Beach Street in Linden Square, Malden; Main Street in Malden; and West/Wellington streets in Everett. Riders from Melrose and Malden plan on joining the ride at 7:15 a.m. near Main and Charles streets in Malden. The ride is free and riders will get a free breakfast with coffee at City Hall Plaza in Boston. For more information contact Stephen Winslow at swinslow4152@gmail.com; 781-397-6893.